Laura Ashley Hotels today announced it is expanding its portfolio with the addition of The Chace Hotel, in Coventry. The 66-key hotel is undergoing a major refurbishment to bring it in line with Laura Ashley brand standards. The elegant new interiors will showcase the Laura Ashley Home range and its exquisite, high-quality inherently British fabrics and furnishings throughout. The Chace Hotel is a striking example of Victorian architecture, surrounded by three acres of attractive landscaped gardens. Original features of the building, such as the ornate fireplace and mullioned windows, create a sense of grandeur in the oak-panelled reception area. The grand sweeping staircase leads upstairs to the new beautifully designed Laura Ashley bedrooms. The deluxe Laura Ashley bedrooms are designed to infuse a sense of tranquillity and with an effortless style, drawing inspiration from the hotel’s Victorian heritage. Carefully selected colours and fabrics complement each other to create an elegant space in which to relax and unwind. Classic Laura Ashley design adorns every surface, from plush cushions and floor-to-ceiling drapes to statement lighting and stylish mirrors. 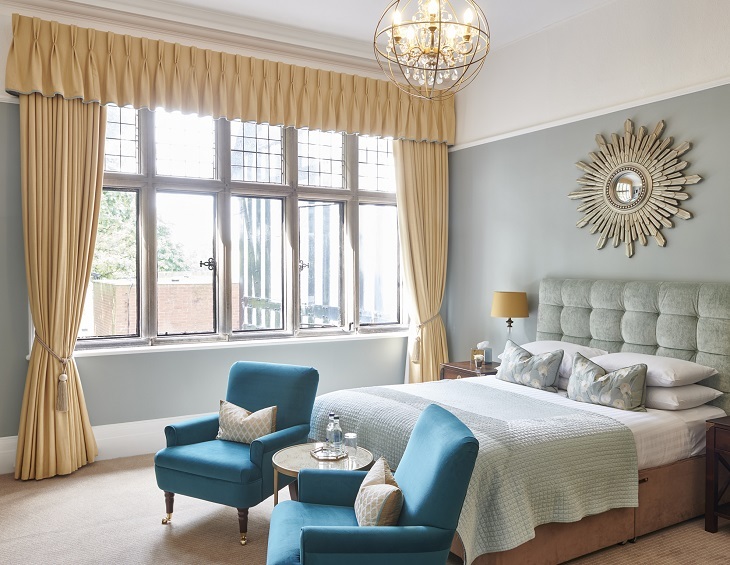 The portfolio, which also includes The Belsfield Hotel, Windermere, and is soon to include Burnham Beeches Hotel in Buckinghamshire, aims to offer guests an authentic home from home experience against the backdrop of the Laura Ashley Home range in characterful properties in the UK. The Chace Hotel is already home to the Laura Ashley The Tea Room, which opened in October 2018 and is the newest addition to the tea room portfolio.